Justice Watch: Will the Court Strip RESPA of All Mechanisms for Consumer Enforcement? Will the Court Strip RESPA of All Mechanisms for Consumer Enforcement? Anyone who has ever gone to a closing on a house has confronted the often bewildering set of fees charged by banks, title companies and others, in order to finalize the purchase and obtain a mortgage. On Tuesday, February 21, the Supreme Court will consider whether the federal law that regulates these closings – the Real Estate Settlement Procedures Act (RESPA) – is violated when a company charges a fee at closing for a service it never actually performed. The plaintiffs in the case of Freeman v. Quicken Loans allege that a lender charged them loan discount points – which are fees borrowers pay up front in order to reduce the interest rate on a home loan – without providing them any actual discount. While the lender denies the allegation, it prevailed in the lower courts on the theory that even if it charged the consumers for a service it never provided, that does not violate RESPA. The relevant provision of RESPA is entitled “Prohibition against kickbacks and unearned fees.” The first subsection of the provision expressly forbids kickbacks among settlement service providers like banks, mortgage brokers, and real estate agents. The second subsection provides in relevant part that “No person shall give and no person shall accept any portion, split, or percentage of a charge made or received for the rendering of a real estate settlement service.” The lower courts in this case read the latter provision to prohibit unearned fees only if the fee is then shared with another provider, as in the case of a kickback. As a result, the courts held, even if Quicken charged the Freemans an unearned fee, it did not violate the statute because it did not kickback any of the ill-gotten gains to another provider. The Department of Housing and Urban Development (HUD), which administers RESPA, has long taken the plaintiffs’ side, reading the statute as prohibiting all unearned fees. 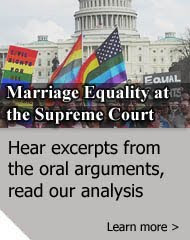 The Obama Administration has filed a brief in the Supreme Court reiterating that view. Quicken and other settlement service providers have filed briefs arguing that the HUD’s position is inconsistent with the language of the statute and with Congress’s intent to deal with abusive industry practices through disclosure requirements (the statute entitles consumers to a list of charges in advance of the closing), rather than direct regulation of rates. The case is significant in itself – there are millions of closing every year at which providers may be tempted to pad their fees with charges for services they never actually perform (as anyone who has ever been charged a “courier fee” may suspect in the days of electronic transmission of documents). But the case takes on added significance when considered in tandem with another RESPA case the Court is considering this term, First American Financial Corp. v. Edwards. In that case, it appears possible (based on the oral argument) that the Court may hold that plaintiffs cannot sue to challenge kickbacks under RESPA unless they can show that the kickback affected the price they were charged or the quality of the services they received. The absence of such a showing, the bank in that case has argued, means that the plaintiff has not suffered an “injury in fact” and therefore lacks standing to enforce her statutory rights under Article III of the Constitution. Were the Court to adopt that rule, lower courts might well find that violations of RESPA’s disclosure provisions (the ones Quicken argues are RESPA’s main protection against abuses) likewise do not cause injury and thus do not confer Article III standing. If the courts reach that conclusion, the provision at issue in Freeman takes on new prominence. That is, if plaintiffs generally lack standing to bring kickback and disclosure claims because they have not suffered an “injury in fact” under either provision, the only claims left for consumer enforcement would be unearned fee claims like the ones the Freemans have made. There is no question that consumers would have standing to raise unearned fee claims – they can easily show that they suffered a concrete financial injury in being charged for a service that was never performed. But if the Court in Freeman construes RESPA as prohibiting unearned fees only in kickback situations, and holds in Edwards that consumers generally cannot sue for kickback violations, there may be little left of the statute that consumers can actually enforce. Disclosure: The author represents petitioners in this case. 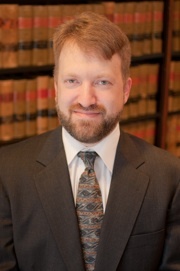 Kevin K. Russell has been counsel in more than a dozen merits cases in the Supreme Court in the past six years. 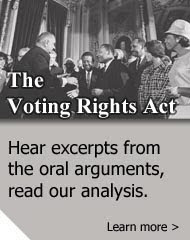 He has also filed numerous amicus briefs in the Court on behalf of groups such as the ACLU, NAACP, the National Women’s Law Center, and constitutional law scholars. Kevin currently is an instructor in the Stanford Supreme Court Litigation Clinic, as well as Harvard’s winter term Supreme Court Litigation clinic. He worked for five years in the Appellate Section of the Civil Rights Division at the U.S. Department of Justice. During that time, he represented the United States in more than thirty-five civil and criminal cases in eleven federal courts of appeals, presenting oral argument in more than two dozen of those cases. Kevin’s areas of special interest include civil rights, immunity, and matters of jurisdiction and civil procedure.